Increasing women’s representation and participation in decision-making bodies requires well-developed strategies and information about which measures have worked successfully in different countries with different political systems. As the debate about the use of quotas as a tool to increase the political participation of women gains momentum, International IDEA is collaborating with Stockholm University in a global research project that will lead to the production of a body of comparative practical knowledge on electoral quotas for women. As a first step in this process, a Global Database of Quotas for Women has been produced, providing an overview of the use of electoral quotas for women worldwide. The website provides information on the various types of quotas in existence today, detailing the percentages and targets in countries where they are applicable. International IDEA also convened a series of regional workshops that brought together researchers and practitioners to collect country- and region-specific information on quota implementation and enforcement, and to develop a network of researchers and experts working in this field. 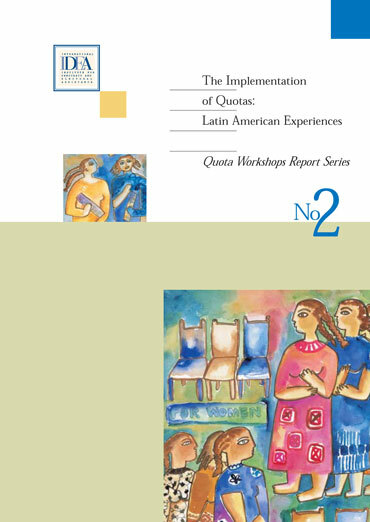 The workshop held in Lima, Peru, on Latin American experiences with quotas was the second in the series.